“I Love You!” is the most powerful weapon. Meg Murray is outspoken, misunderstood, and often considered belligerent. Her scientist father mysteriously disappeared on a top secret government mission. Meg, like her mother has yet to give up hope for his return. Along with Meg’s mind reading younger brother Charles Wallace and their new friend Calvin O’Keefe, the three children embark on a journey through space, time, and dimensions. They travel from planet Earth, to Uriel, and Camazotz by means of the fifth dimension using a space travel technique known as a wrinkle. Meg, Calvin, and Charles Wallace with the aid of three shape shifting celestial beings, Mrs. Whatsit, Mrs. Who, and Mrs. Which rescue Mr. Murray (Father) and defeat IT, the evil darkness threatening Earth and all other stars within the galaxies. Tweens will be captivated by the curiosities of Charles Wallace and the very unique names of Mrs. Whatsit, Mrs. Who, and Mrs. Which. Such readers will find characteristics they can easily identify with as they follow Meg Murray at school and her interactions with others. 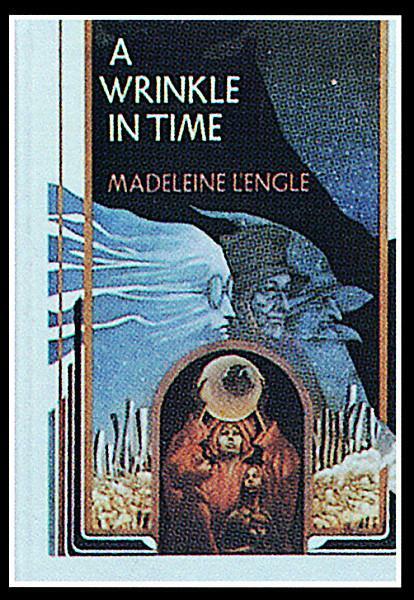 A Wrinkle in Time presents so many questions within the first two chapters that once the third chapter is started most will struggle to take a break from reading. This book has some language that may date it to when it was first published, but tweens will easily decode the meaning by the content. Though there are no in-text illustrations, there is also no need for them due to L’Engle’s use and mastery of imagery. The equal use of narration and dialogue are both easy to follow along with. The ending is abrupt and a brilliant cliffhanger that will have any tween begging for the second book in The Time Quintet series. Not only is A Wrinkle in Time a fun book to read for pleasure, but can also easily prompt discussions for use in the classroom. For language, the proper use of dialogue or imagery may be discussed. Or discussing science and technology around the time the book was written, such as the landing on the Moon, the Vietnam War, or even the Cuban Missile Crisis. Philosophical discussions/debates about Communism or learning in more detail about historical figures mentioned to have previously fought The Darkness, such as Gandhi, Shakespeare, Bach, Madame Curie, etc. Readers may also be interested in similar books such as; Interworld by Neil Gaiman (2007) and The Time Hackers by Gary Paulsen (2005). It’s been many years since I read this book, but I did like it and so did all of the students in the library! Great review!